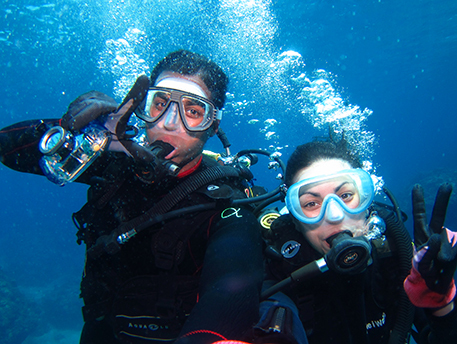 As you know Scuba Diving is the one of greatest under water sport. You can enjoy wonderful coral and coral life and some uniq underwater formation. However, we would like you to understand deeply some risk of danger and join our diving/ snorkeling tour. All of our stuff is trained about Emergency First Responder, CPR, Emergency Oxygen Provider and Safety Management as professional level. 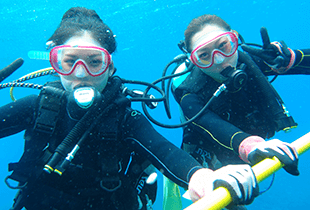 We’d like to support your memorial diving tour in Okinawa with Japanese Service “Omotenashi”. 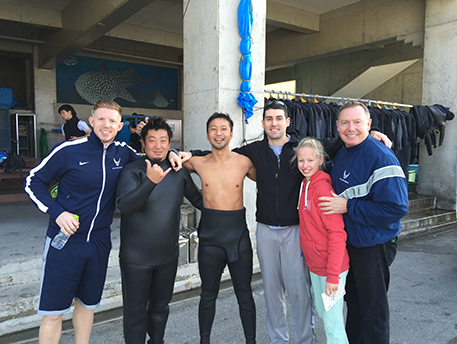 We are very looking forward to diving with you!! Please make sure to know all of your group member about following emergency policy. Very Unfortunately though, if you have Asthma, Heart Disease, Respiratory Illness, Disease of Nervous system, Diabetes or Pregnancy, not allowed to join any tour with us for your safety reason. Please take a look PADI Medical Statement. If you have any “YES” please bring Doctor note with you. An additional charge of ¥2,000/ px produces the one 15 years or younger. 3) Over 60 years old We have to require all of you to bring Doctor’s note. 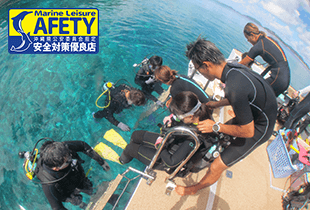 Also, we need to additional charge ¥5,000 for each person to enjoy marine menu more safety. We would like to make smaller group ( possibly one on one) as much as possible. Thank you for your kindly understanding. 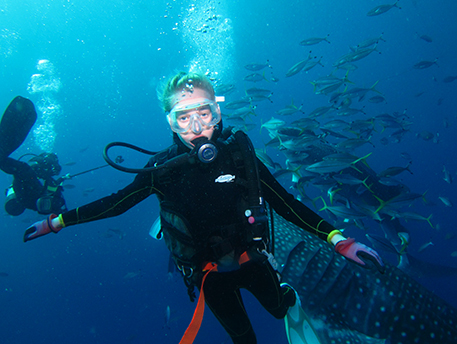 We need to require to bring all certified diver who join Fun diving tour for your safety. We believe these are minimum safety kit which will avoid risk or DCS and emergency situation. If you don’t have any, we have rental of these as well. You can enjoy at surface interval. Please enjoy marine life from different angle of Diving! Due to safety reason, snorkeling during surface interval needs to be under surveillance by our stuff and on your on responsibility. *** A person fitting the item mentioned above comes to need the medical certification of the doctor. Unfortunately you are not allowed to boarding to airplane within 18 hourt after any type of diving due to raising risk of Decompression sickness. 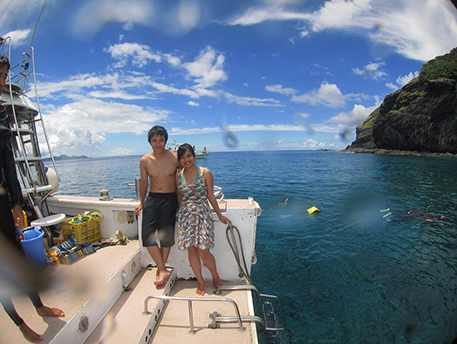 You definitely will enjoy cruising towards to dive site as well with gorgeous sunshine and be blown by comfortable wind. However, enclosed space will take a turn for the worse of sea sick. Please be yourself at open space, take a nice nap or chatting with us! Also, you should not focus on your cell phone. This is causing sea sickness as well. As you imagine, during running boat, it won’t be very stable. Please make sure to use rest room before meeting up time. Please remind yourself, any accident/ injure on boat; (e.g. fall down on boat, jumping from boat will be on your own risk. 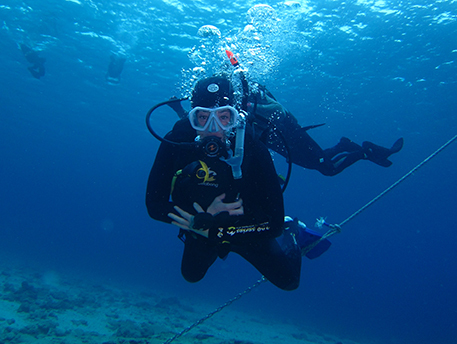 As you know, all dive sites are related by sea condition, the direction of the wind and forecast. 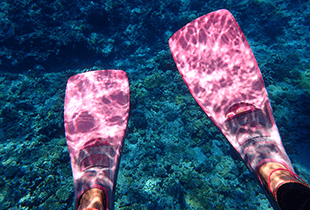 Due to those factors, we may need to change/ cancel your diving or snorkeling tour. 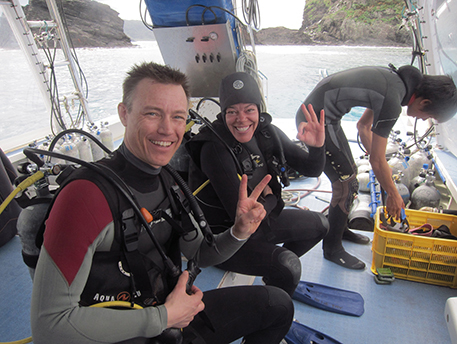 In case we need to be changed, we would like to take you to the best dive site on the day according to those factors. On your reservation date, please follow our stuff instructions. If you may won’t, we can not guaranty for your safety, very unfortunately. Time for lunch on the boat is one of the pleasure for Kerama Islands diving tour. Even in the summer time, we provide free soup service. We also possible to provide you Shima-Bento which is Okinawan style lunch box, ¥500 per 1 lunch box ( only for Kerama Island tour). However,someone may have allergy or dislike. In this case we may need to ask you to prepare by yourself. Any other dive site beside Kerama Island, planning to lunch at some Okinawan local restaurant ( cost you around ¥1,000/ px). Even tropical island Okinawa, we will have cold winter during Nov to Apr. 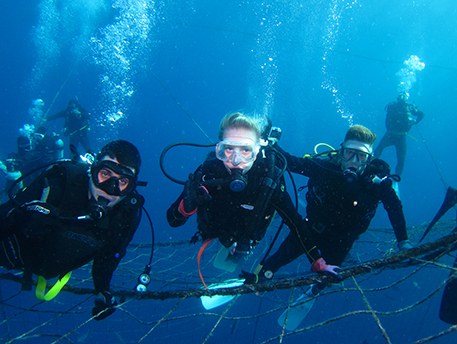 During diving, We are losing our body heat over 20 times more than on the land. Especially after diving, temperature is rubbed of it more when exposed to winds. For that reason, you should prepare some outfit for cold weather. Right the after diving, wiping the water of the body and get change to dry outfit, you will be able to feel comfortable even during winter time. *** 1 We offer you free transportation between Naha city and Onna area though, according to how busy we are especially summer time, we may won’t be able to offer you. *** 2 Depending to the tour or your accommodation, meeting up point will be changed. For your information, we will be back to marina around 16:00pm to 17:00pm from Kerama Islands. 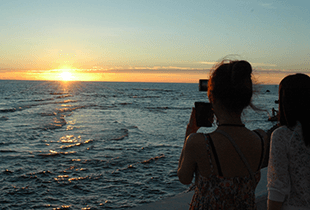 We highly recommend you to have rental car if you plan to go sightseeing/ restaurant right the after diving. *** 1 Depending on when you make the cancellation from day before, 100% cancellation fee will apply. Even though, due to sea sick and Medical history wise on the day, we need to charge you 100% cancellation fee. We accept Credit card when you make payment for following. *** 2 Please feel free to let us know if you have any questions. 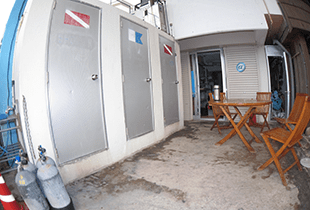 Depending on the dive site, we need to charge you Environment Corporation Fee on the each customers. This is for protect our nature and coral for the future. We would appreciate for your hand for the limited beautiful nature and coral. *** This is not including in to Facility fee. We deeply appreciate for your attention. Again, if you have any questions, please feel free to letting us know. 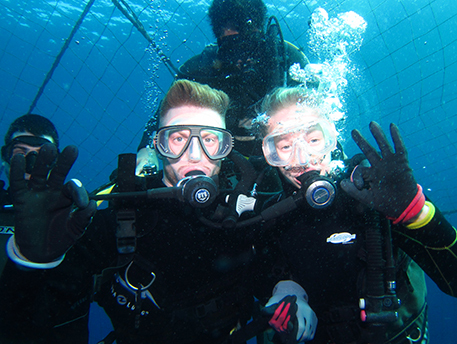 We are very looking forward to seeing you and diving with you soon!